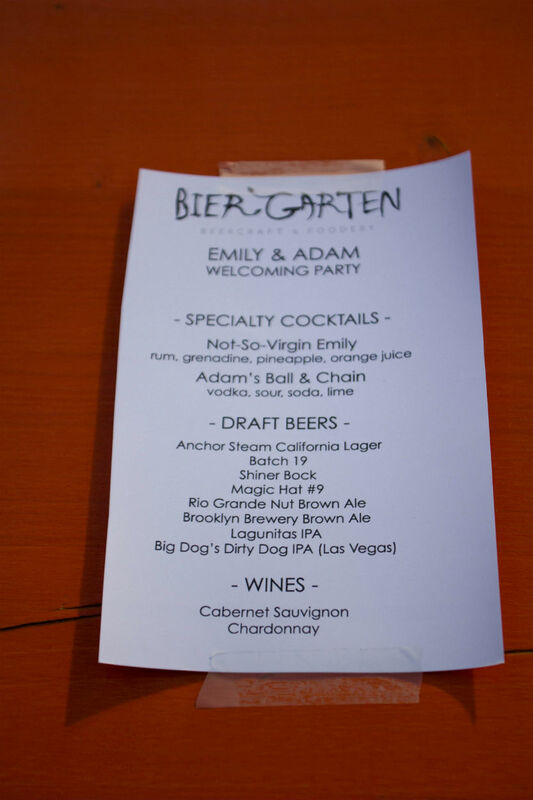 Emily & Adam traveled from Boston, MA to tie the knot here in Las Vegas and we had the pleasure of planning their Welcome Party. 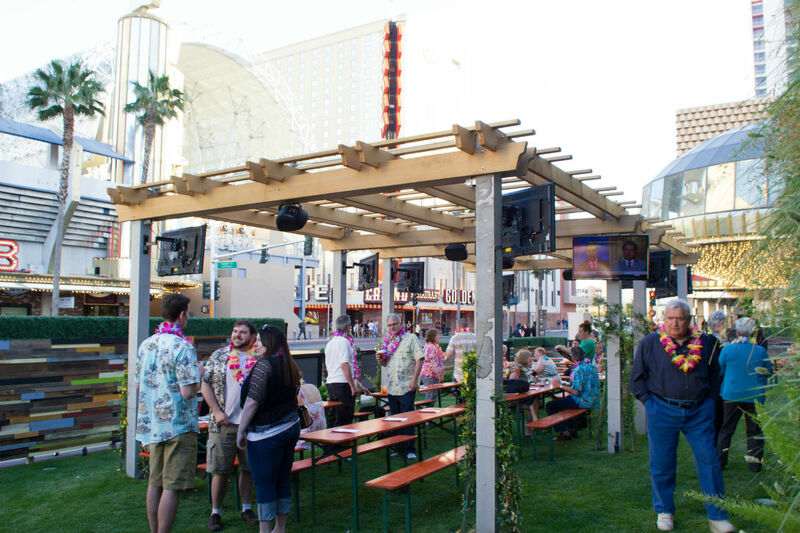 Emily’s parents got married in Las Vegas and Emily & Adam felt it was a great idea to have their wedding in Las Vegas as well. It is great to see that Emily & Adam will carry a piece of her parents’ wedding memories into the next chapter of their lives. Maybe even start a family tradition. 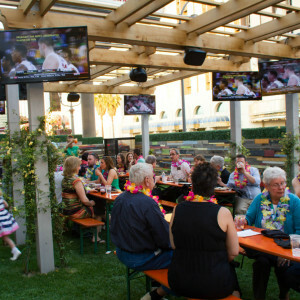 Emily wanted a Hawaiian/Asian Fusion-themed Welcome Party in the Downtown Las Vegas area since her guests will be staying close by. 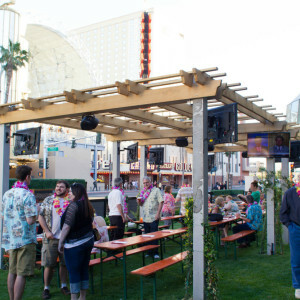 The Bier Garten at The Plaza Hotel & Casino had just recently opened and they have a beautiful garden with lattice coverings facing Main St. in the Downtown Las Vegas area. 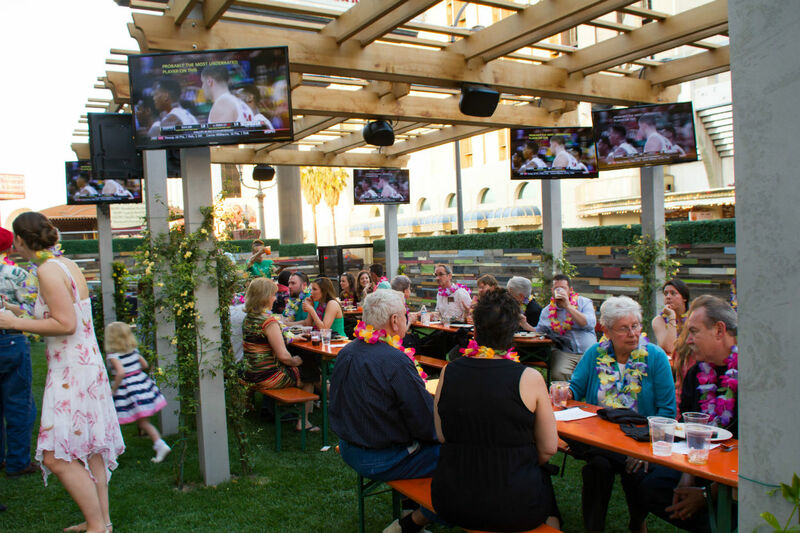 Although Bier Garten is designed to provide a German beer garden vibe, they were kind enough to allow us to transform their garden area into a Hawaiian-themed event. 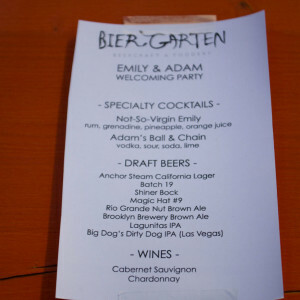 Bier Garten provided two specialty drinks for the lovely couple titled ‘Not-So-Virgin Emily’ and ‘Adam’s Ball & Chain’. 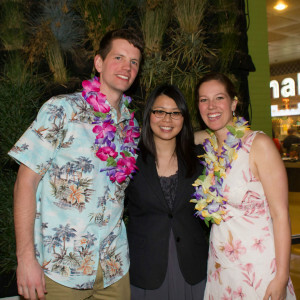 Island Sushi and Grill Express catered the event and served us with a wide variety of their delicious Hawaiian cuisine.